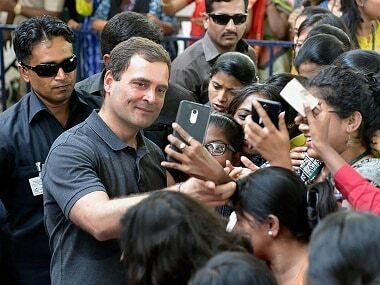 Election season is upon us and that means parties and politicians are gearing up — if not already doing so — to take a break from year-long campaigning and mudslinging and put all their energies into Lok Sabha election campaigning and mudslinging. It's a bit like the normal variety, only with the volume and shrillness turned up all the way to 11. As such there will be louder rallies, more acerbic turns of prose and generally a more angry and almost-tribal atmosphere that envelopes the country. And so, it won't be unusual to see party members and leaders turn into prolific orators, champion writers, flowery poets and keen distributors of witty social media content. Every word will travel that much further, because it's the quinquennial Lok Sabha election season. 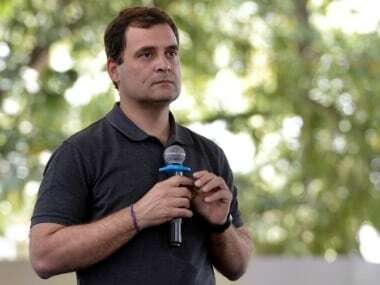 The Opposition, ranging from the Congress' sibling tag team of Rahul and Priyanka Gandhi to Aam Aadmi Party's Arvind Kejriwal, Trinamool Congress' Mamata Banerjee and numerous others, have spared very few opportunities to lambast the ruling party, its ideological fountainhead and the prime minister. And this hasn't been one-way traffic either, with the BJP and its allies hitting out at the constituents of the Opposition 'mahagathbandhan' and the Congress in particular. Same old same old, you may well conclude. You would be wrong. This is after all Lok Sabha election season and all stops must be pulled out. 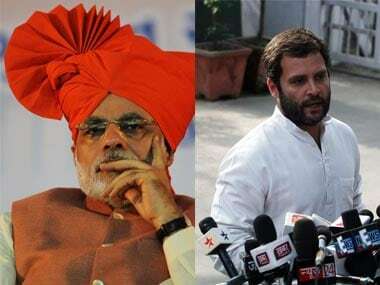 It is perhaps this sentiment that saw Prime Minister Narendra Modi take to his admittedly under-utilised blog — that has previously been used for public service announcements, paying tribute and opining on projects and foreign visits — to hit out at the Congress in a post titled 'Institutional respect and Institutional contempt - two contrasting approaches'. After listing how the country and presumably its prospects have changed since 2014, the blog entry notes, "Reflective of this paradigm shift is the fact that now, there is a government that puts institutions above everything else. India has seen that whenever dynastic politics has been powerful, institutions have taken a severe beating." If that sentence seems a bit odd, it's probably because it is, considering the government has been accused of meddling with the CBI, the Supreme Court, RBI and the RTI Act to name but a few. But then such trivial matters can easily be overlooked when there's a bigger point to be made or a more pressing target to aim for: That the word 'dynasty' or a variation of the word appears six times and Congress appears 24 times makes this amply clear. One of the biggest oversights is the section of the post titled 'Press and Expression'. Before getting to the contents of the section or indeed the part under the category 'Press', it's worth briefly recalling the dim view taken of the concept of 'Expression' by the ruling party and its bannermen, for want of a better word. Literature fests, art exhibitions and even cinema — there's hardly an aspect of expression that hasn't seen efforts to control and reshape it. "Dynastic parties have never been comfortable with a free and vibrant press... Speaking truth to power, which is the hallmark of a free press was seen as vulgar and indecent," the post states. The raids against NDTV, the ABP News episode, the demise of Hindustan Times' Hate Tracker and the financial strangling of Amnesty India are a handful of examples of what 'speaking truth to power' apparently gets you in today's India. Further, that this remark comes from a prime minister who has yet to hold a press conference since taking office and only appears to answer questions that are scripted or posed by 'pliant journalists' seems somewhat strange. "The recent UPA years saw the bringing of a law that could land you in prison for posting anything 'offensive'... A tweet against the son of a powerful UPA minister could land innocent citizens in jail," the blog entry continues. And that law seems to have been used to the fullest by the UPA's successor, as Huffington Post points out, against "teachers, students, businessmen, auto-rickshaw drivers, and members of the police and paramilitary forces". "Just a few days ago, the nation watched with horror when a few youngsters were arrested for expressing their true feelings at a programme in Karnataka, where the Congress is sharing power," the post carries on, championing the cause of free will and true feelings. Are some feelings more true than others? Or does it depend on whom those feelings are aimed at? While it was this section on 'Press and Expression' that took the cake, there were other interesting crumbs scattered elsewhere. 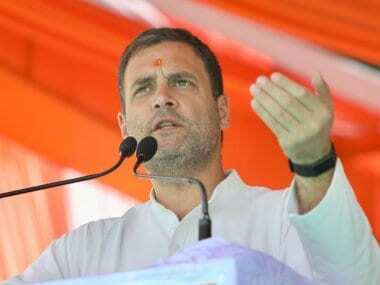 Most notably towards the end, where the post posits, "Are they [Congress] scared of accountability or do they not believe in it?". 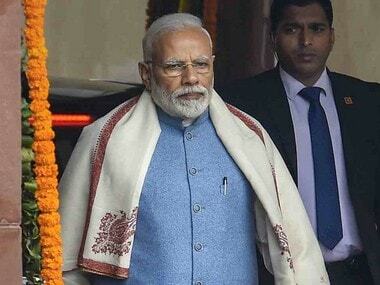 Curiously, in Gandhinagar on 5 March, Modi had himself taken a thinly-veiled swipe at the concept, stating, "There is a recent trend of people expecting that everything has to be done by the government. They also seek answers from the government for the works that are not done. This was not a tradition in our country." So what have we learned from Wednesday's blog entry by the prime minister? To somewhat mangle John F Kennedy's words: Ask not what your government can do for you. Ask nothing at all.